So many assume that meditation is just for mystics or even just for those seeking peace in their lives and less stressful experiences amidst our everyday chaos. Yet, meditation is so much more than that—or less, depending on your point of view. When we take time to quiet ourselves and hear our inner world, we immediately sense not only our inner potential to expand and grow, but also our innate ability to distill experiences and make sense of our world. However, even these shifts, as lovely as they sound, can make meditation feel like work, a chore, something else to add to our to-do list and another level of “beingness” that we are expected to attain. 24Life: What is your style of meditation? Jeff Carreira (JC): I practice mostly in the Zen style or Zazen, which means just sitting. It’s a place of open receptivity and the fundamental instruction is: To sit. And to not make a problem of anything that you experience. It’s a profound and powerful practice that can be used for people who are committed and serious, but also used for people who really want to go beyond a stressful self-conscious relationship to life. This may sound preposterous, because of course, there are things that are wrong. Just look around at the world. Sometimes it seems like almost nothing is right. I can’t disagree with that. The world is full of problems of all kinds, but the freedom we find in meditation is pointing toward a very subtle, but very important insight —nothing is ever wrong, everything just is as it is. 24Life: To not make a problem out of anything is harder than it seems. How do you begin such a practice? JC: It is actually not hard, although sustaining it may be. Everyone can achieve it, especially moment by moment. For example: Do this practice for five seconds—start by just sitting. Don’t make a problem out of anything. There. You are done already. Then, you just need to expand that period to 10 seconds, then 30, then one minute, five minutes and so on. People can handle this. 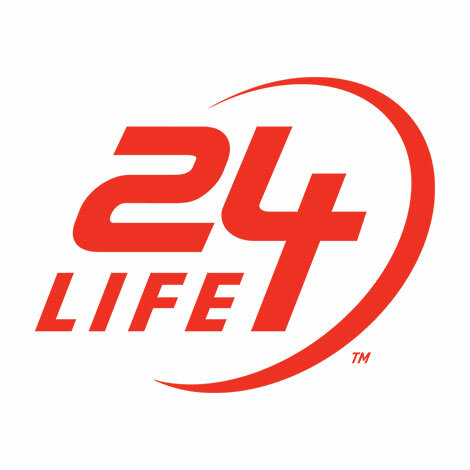 24Life: How do you define “problem”? JC: That’s a good question. We all have a deeply conditioned habit of relating to the world with a problematic point of view. This is useful, it helps us as humans to seek out problems and warn us so we can avoid them—but it too easily becomes pathological. It generates a fundamental neurosis and makes us question everything. As a result, we feel existentially disconnected to the world and our experiences. In addition to that, we have this superego that is formed by our social and cultural ideas. Meditation helps us to see all the ways in which we make a problem out of everything. Some sit in meditation and have uncomfortable experiences and have a problem with that. Some have blissful experiences, and they make a problem of it. Some sit in meditation and have no experience, and that becomes a problem for them. We are trained by our minds from our culture to take any experience and make a problem out of it. This constant assessment and evaluation of our experience is often negative and shows up as a “constant-coaching” voice that exists inside our head, continually evaluating our every experience and comparing it with others—creating a parallel narrative of sorts that we end up confusing with reality. When we absorb the messaging, then it becomes part of our identity. Yet it is not us. 24Life: So meditation helps us find our own intuitive voice. For many of us, we spend our adult life searching for it as if we have lost it, or we question it. Is that right? JC: It’s true. A lot of us have negative messages embedded in our coaching system, and we see it as the truth…. That’s why meditation leads us to a deeper questioning into what is true. Meditation can help us taste the possibilities of perfect contentment and lead us toward practicing being perfectly content with an experience just as it is, no matter how it is. That feeling gives us momentary freedom, in which we realize that nothing is wrong. That feeling also frees us up to stop fighting against reality and start taking responsibility for it. So often, when we are convinced that something is wrong, we get caught in a struggle against the way things are. But meditation can help us realize that we can’t change the way things are. Everything is the way it is because of everything else that led up to this moment. You can’t change the past, and so you can’t change this moment. Yet, while you can’t change the past or present, you can influence the unfolding of the future. 24Life: When do we start to feel this disconnection? JC: We begin to feel this after the innocence stage. We start to realize or start to believe that there is a right way to be. We have all been taught that we are the person who was given our name, who was born on our birthday and who has our history and memories. That person—who is limited by our body, lives this one lifetime and experiences all of our fears, desires, worries, concerns, ambitions and dreams—is fundamentally who we believe we are. Yet, during the profound experiences of awakening, we discover something shocking and utterly liberating: that isolated person is not the limit of who we are. We are much more than that. When the doors of perception open, we see that this lifetime and the person we associate with it are like a lens that the light of awareness shines through. We also realize that our consciousness is not produced inside us; it is passing through us from a source that is singular and whole. Our intelligence, our feelings, our cares, concerns and loves are all illuminated from a universal source of being. 24Life: How did you get started in meditation? A long time ago, I started searching for what is true. I was an atheist, and I studied physics, but I realized it didn’t have all the answers. In order to understand the mind, I needed to understand the brain, so I studied cognitive psychology and brain science. About 25 years ago, I was living the kind of life that I had always thought would make me happy, and still, I wasn’t content. No matter what I achieved or attainted, it never quenched my desire for more or my sense that something was still not right. At some point, I realized that nothing external was ever going to satisfy me. I started to suspect that the feeling of lacking, deficiency and dissatisfaction was coming from inside. Eventually, I was introduced to meditation. I was interested in the practices of a variety of traditions including Christianity, Sufism and Buddhism. I worked with a teacher who taught me a Hindu-influenced form of meditation. That was when my spiritual life began in earnest, but it took another decade or so before I found a source of inner contentment that is always with me. And my approach to meditation evolved from that experience. The practice of meditation played a central role in my spiritual pursuits. I fell in love with it, and have spent many years refining an approach to meditation that is profound enough to generate true awakening and simple enough to be accessible to anyone. 24Life: What are best tips for someone to get started in meditation? JC: First, believe that there is a way to have a non-problematic relationship with your mind. It is fine to understand that we are all somewhat neurotic. Understand that second guessing inhibits you in life. To overcome that habit, do something in life that makes you not fearful and worried. Break the habit of being worried. Break it—otherwise no matter how your life is, it will haunt you. We all know people who seem to be bitter about the way things are. Some seem to be locked in ongoing combat with reality. And although they expend a great deal of energy, things never get better. They are fighting a losing battle because they can’t change the way things are. They can only change the way things will be. Second, practice a non-problematic relationship to your experience. When something happens, allow yourself to feel the initial sense of insecurity, but then as you practice not giving energy to that, get used to what life feels like when you are not seeking out the problems. Instead, reclaim basic trust in life. We often feel like unless we control everything, bad things are going to happen. Win back your basic trust, in order to end the need to be constantly in defense. Third, listen for that non-stop coaching voice, then learn to distinguish the coaching voice, which is made up of cultural and adopted messages. Identify the tape recording that runs all the time in your head and discern the difference between that and your own actual and authentic knowing. There is an authentic spontaneously arising knowing of things—that is your true voice. 24Life readers can find more of Jeff Carreira’s insights in his ebook, “The Miracle of Meditation” and experience first-hand the practice of Unlimited Possibilities in a virtual meditation.